This is a rectangular United Delco Tune-Up porcelain sign. This particular United Delco Tune-Up sign is white with red and blue print. 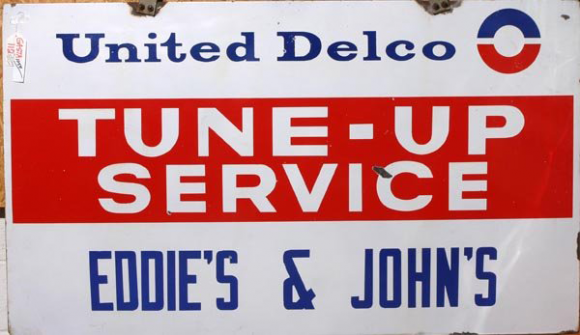 It reads, “United Delco Tune-Up Service, Eddie’s & John’s” and features a red banner across the center of the sign.